One of the most popular ways for you to alter the length and/or the body to your hair is use hair extensions. 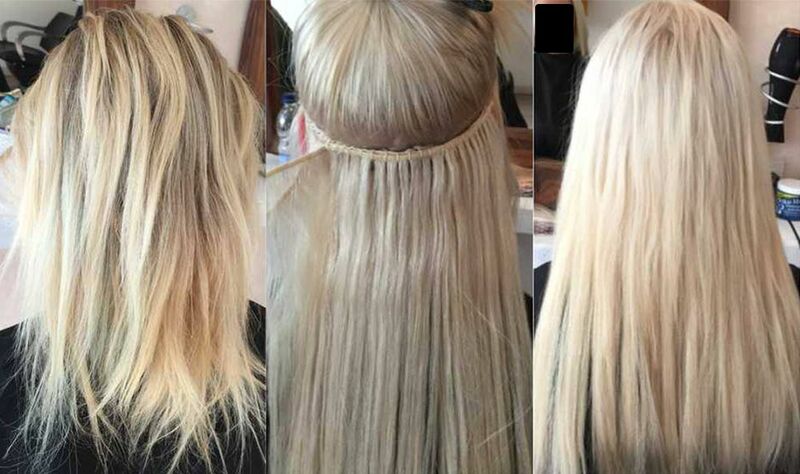 Pre-bonded hair extensions are a natural looking solution that can be performed by your hairdresser. Before you let your hairdresser put their hands on your hair here are few facts about the process of getting hair extensions. Pre-bonded hair extensions should not damage your hair. In some instances where hair cuticles have been damaged by chemicals or illness the weakened hair can be protected by hair extensions while the damaged area grows out. The hairdresser uses a special device to attach the extensions to your own hair. These extensions are glued to the root of your hair. Later on it is recommended that you get the extensions removed by a professional hairdresser to avoid any damage to your natural hair. These extensions can commonly last for over five months. Of course this timing will vary from individual to individual, their own hair conditions and how the extensions are cared for. You will have to have some length in your own hair for this process to work properly. This is both for anchoring and for blending into your natural hair. Just as hair styles are different so are the extensions available. It will be possible to match the extensions to your natural hair no matter if it is straight or not. As well as matching the style, hair extensions are offered in lots of different shades. If you want streaks, adding different colored extensions will achieve this effect. And as you start to see growth it is possible to dye the extensions as you normally do. There might be some considerations around doing this, but your hair professional should be able to deal with this aspect in a blink of an eyelid. Pre-bonded extensions do take some time to put in, but the outcome will give you the length or body you are looking for, without having to wait. Call DHS on 01234 325 730 or 07483 982 489, or contact our Bedford based salon to arrange a free no-obligation hair extension consultation.